The United States is said today to have approved the participation of the Islamic Republic of Iran in Geneva-2 on Syria. U.S. Secretary of State John Kerry will meet his Russian and French counterparts in Paris on Monday ahead of the expected international conference on Syria. Kerry and Sergei Lavrov will meet "to continue discussions from their meeting just a few weeks ago in Russia, and provide updates as they plan ahead for the international conference on Syria," a State Department official said in a statement Friday. French Foreign Minister Laurent Fabius will also take part in what a Western diplomat said would be a "working dinner" in a restaurant in the French capital. Russia said on Friday the Damascus regime had agreed "in principle" to participate in international talks that have been dubbed Geneva-2. The first Geneva meeting, in June 2012, ended in a broad agreement aimed at forming a transition government in Syria. But the deal was never implemented because it left open the key question of whether President Bashar al-Assad could be part of the transitional government. 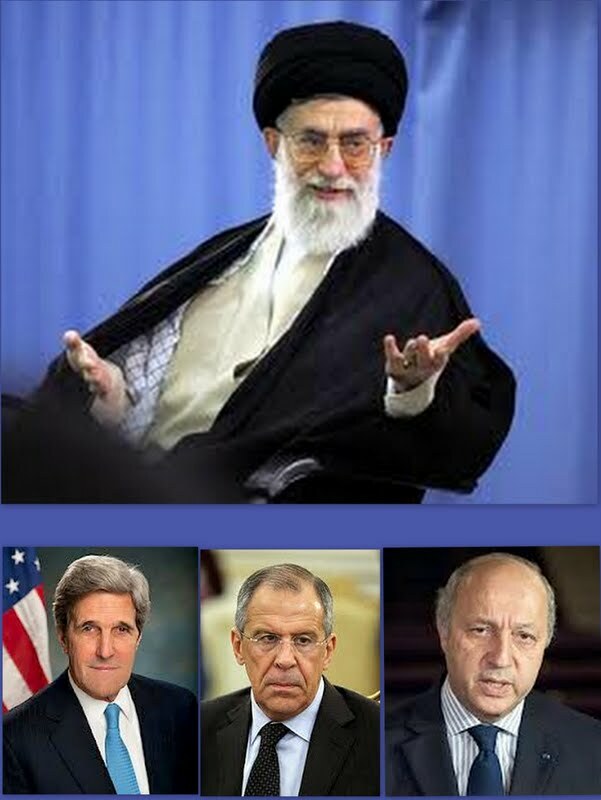 What is noteworthy about the Geneva-2 brouhaha is Iran’s insouciant attitude toward the United States. Sources in Tehran say the message to Iranian officials came in a briefing by Lavrov on his May 7 meeting with Kerry in Moscow. Proof of the message’s authenticity is that the United States has approved Iran’s participation in Geneva-2. Lebanese officials have zero hope of Geneva-2 ending the Syria war. They talk from their familiarity with the 1975-1990 Lebanese civil war, which plunged the country in internal, regional and international conflicts lasting 15 years. What started as a Christian-Palestinian incident ended as a Christian-Christian war with Arab, international, Israeli and Iranian players joining in-between. Saying it is a dead duck, the officials compare Geneva-2 on Syria to the fruitless meetings of Lebanese leaders in Geneva and Lausanne 30 years ago. The Lebanese civil war did not end before the leaders approved and signed the 1989 Taef Agreement. Some of the officials also cite the example of peace talks to end the Vietnam War. The United States and Hanoi agreed to enter into preliminary peace talks in Paris in 1968. However, almost as soon as the talks were started, they stalled. When peace talks resumed in Paris on January 8, 1973, an accord was reached swiftly. The peace agreement was formally signed on January 27, 1973.